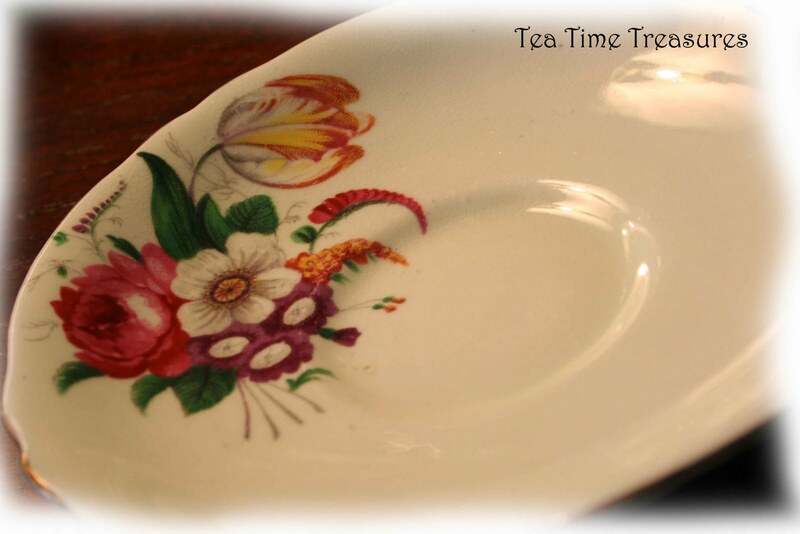 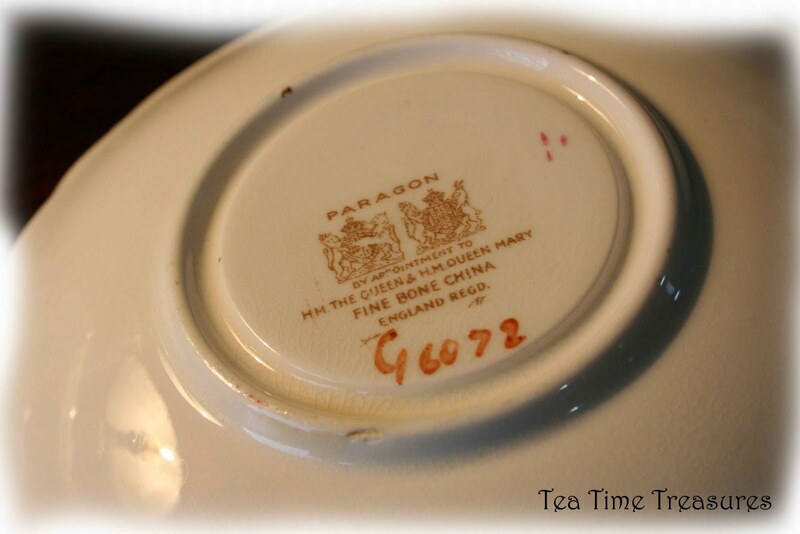 Here is a saucer without it's tea cup! I picked it up anyway, because it was not expensive, and I thought it was pretty. I had a hard time determining the age of this piece, and thought maybe it was produced between 1939-1940.